This edition has been revised and updated to reflect the needs of the current specifications. 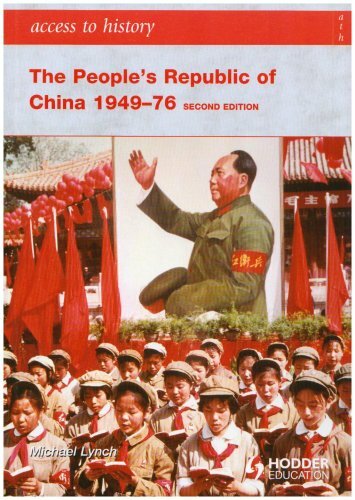 It charts China's remarkable and tumultuous development from the establishment of the People's Republic in 1949 to Mao's death in 1976. Michael Lynchis professor in the Science & Technology Studies Department at Cornell University.Simon Coleis the author ofSuspect Identities: A History of Fingerprinting and Criminal Identification.Ruth McNallyis a senior research fellow at the Centre for Economic and Social Aspects of Genomics at Lancaster University.Kathleen Jordanhas a Ph.D. in sociology from Boston University and is currently a student at the Rhode Island School of Design.